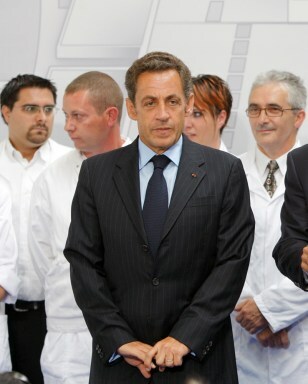 France’s Sarkozy using short people as props? French President Nicolas Sarkozy, center, speaks to employees at the new Faurecia automotive parts production site in Caligny, on Sept. 3. A factory worker claims she was chosen as a backdrop for the visit because she is short.